By now, it’s a certainty that most everyone out there knows all about the existence of Big Data. It’s data that’s big in size, big in variety, and big in speed, but that doesn’t mean that only big businesses can use it. In fact, more small businesses are jumping on the Big Data bandwagon, and benefiting from it. Think of it as a means for the little guy to stay competitive with the big boys. 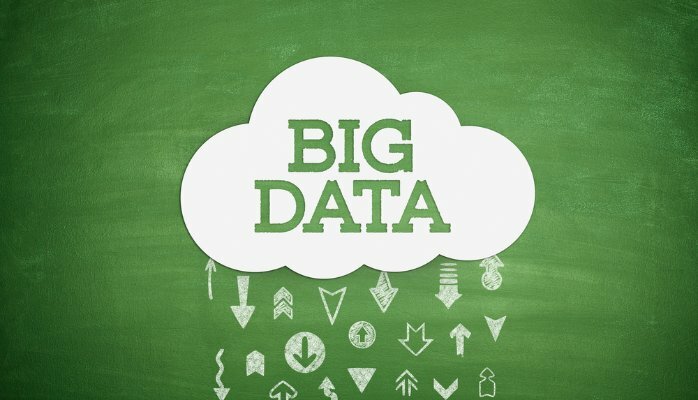 So how are small businesses managing to use big data? Many small businesses are using Big Data information gathered through social media in order to find out the best sales prospects. By mining conversations and comments on various networks, businesses can find out what sorts of marketing campaigns get the best responses, and adjust future plans accordingly. Big Data is allowing smaller businesses to get a better understanding of their customers, and that’s a sure way to increase sales. In the article “How Small Businesses Can Jump on the Big Data Bandwagon”, we see that small businesses can use Big Data to help improve their supply chains. By mining data information such as delivery times, product availabilities, and feedback about suppliers, a business can choose the best goods from the vendors who best fit the company’s needs. This in turn means getting goods on the shelves quickly, which results in a better customer experience. After all, if the goods aren’t available for sale, that’s a missed opportunity, one that a competitor will gladly seize instead. When it comes to hiring more help, the smaller companies don’t have the luxury of a big margin for error. Hiring people takes time, resources, and money, and those small businesses need to hit the bulls eye on the first try. It’s tough going through all of that trouble to hire someone, only to have them wash out in less than six months. But someone actually came up with algorithms that collect and sort through huge amounts of applicant information in order to predict the success of a potential employee. The algorithm matches a company’s culture with the applicant’s traits and talents, which sounds a lot better than wading through piles of cookie-cutter resumes. Big Data can offer information on how customers are using a company’s products, specifically who is using them, when, where, and how. By getting an understanding of how people interact with a business’ products, steps can be taken to improve said products, or, if the response is overwhelmingly negative, discontinue the product in question and roll out something else. Sometimes, Big Data can show a company when the optimum time comes to offer some extra services along with their products. For instance, a car dealer could gather information on when most people bring in their vehicles for an oil change or other routine maintenance. By discerning the patterns, the dealership could offer special deals and incentives to encourage even more of their customers to perform that maintenance. On a related note, Big Data could actually be used by the aforementioned car dealer in order to assess which prospective buyers constitute a greater credit risk. This is better than your typical FICO credit check; this involves mining data from the applicant’s full credit reports and performing some risk analysis based on the data. What all of these examples show is that Big Data is the great equalizer, allowing small to medium businesses to compete on the same playing field with the huge corporations. That means healthier competition, and every savvy consumer knows that vigorous competition means better values and service for the customer.